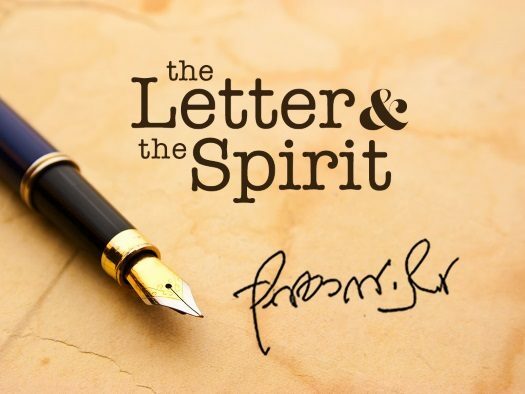 This week, we present a letter from the Rebbe in which he explains Perek 27 of Tehilim – L’Dovid Hashem Ori, which we say every day during Elul until Hoshana Rabba, wherein we reflect on Hashem’s careful watchfulness – Hashgacha Protis – and are strengthened by this. 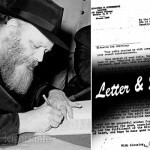 The letter, written originally in English, is from the archives of the Rebbe’s personal trusted secretary, Rabbi Nissan Mindel. I received your letter in connection with the forthcoming new year, together with a copy of a previous letter. As requested, I will remember you and your family, as well as those mentioned in your letter, in prayer for the fulfillment of your hearts’ desires for good. With reference to your writing about doubts and difficulty and about a feeling of insecurity in general, I trust it is unnecessary to elaborate to you at length that such feelings arise when a person thinks that he is alone; and can only rely upon himself and his own judgment and therefore feels doubtful and insecure about each move he has to make. And while he also trusts in G-d, this trust is somehow superficial, without permeating him and his way of life in every detail; and only on certain days, such as the High Holy Days, he feels more close to G-d. But when a person’s faith in G-d is deep, and when he reflects that G-d’s benevolent Providence extends to each and every person and to each and every detail and each and every minute, surely he must develop a profound sense of security and confidence. The concept of Divine Providence is better understood in the original term of Hashgocho Protis, for Hashgocho Protis means careful watchfulness, for which reason the term hashgocho is used also in connection with the law of kashrus, where every detail has to be carefully watched. Nor is another translation which is sometimes used in connection with Hashgocho Protis, namely “supervision,” entirely satisfactory in this case, because supervision implies “overseeing,” that is to say, seeing from above, whereas hashgocho in the sense of G-d’s watchfulness means knowing matters through and through. The belief in such Hashgocho Protis is basic to our religion and way of life, so much so that before every new year and during the beginning of the new year, we say twice daily Psalm 27, “G-d is my light and my salvation, whom shall I fear? G-d is the strength of my life, of whom shall I be afraid?” From this it follows that even if things happen not as desired according to human calculations and even if it seems that even according to the Torah it should have been different, a Jew still puts his trust in G-d, as the said Psalm concludes, “Hope to G-d; be strong and strengthen your heart and hope to G-d.” In other words, it is sometimes necessary to be strong and strengthen one’s heart to achieve full confidence in G-d, but there is also the promise of being able to achieve it. The above comes more easily through strengthening the adherence to the Torah and mitzvos in the daily life. And however satisfactory this may be at any particular time, there is always room for improvement in all matters of goodness and holiness, Torah and mitzvos, which are infinite, being derived from the Infinite. Indeed, I am pleased to note that despite the doubts that you have, you devote time and effort to be of help in your field, and may G-d grant that it should be with hatzlocho, especially as it surely does not interfere with having regular periods of Torah study each day. In this connection it is well to remember the words of the Alter Rebbe, the founder of Chabad – that true kvias ittim/fixed times for Torah study implies not only in time, but also in the soul. 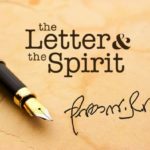 The above letter is from Volume I of The Letter and the Spirit by Nissan Mindel Publications (NMP). Thank you, Rabbi Shapiro, for sharing these letters from the Rebbe. I feel more personally guided by these letters than by watching the videos. I know the videos are important and the way many people get inspiration, but I prefer the Rebbe’s letters.